Serengeti Breweries Limited (SBL) is a fully integrated beverage business in Diageo Africa (supply and demand for beer and spirits) It is a subsidiary of East Africa Breweries Limited (EABL), the largest business unit in Diageo Africa and the second largest listed company on the NSE in Kenya. SBL operates exclusively in Tanzania and is the second largest beer company with a market share of around 20%. 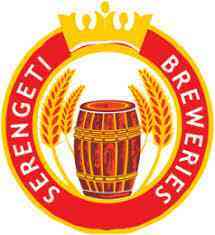 SBL was incorporated in 1988 as Associated Breweries Limited and changed its name to Serengeti Breweries Limited in 2002 and commenced commercial operations in 1996 with one brewery in Dar es Salaam. 51% of the company was acquired by EABL in October 2010 and has three breweries located in Dar es Salaam, Mwanza and Moshi. SBL flagship brand is Serengeti Premium Lager. Other brands in the portfolio include Tusker Lager, Guinness, Kibo Gold, Pilsner and Senator. Headquartered in Dar es Salaam, SBL is also the distributor of several global Diageo international renowned spirits brands such as Johnnie Walker, Smirnoff, Gordon’s, Bailey’s and Captain Morgan. SBL operates in a competitive environment and in a vast geography. The main player in the beer industry is Tanzania Breweries Ltd which is a subsidiary of AB InBev. The competitor enjoys almost 70% market share which automatically comes with very stiff competition. Inflation rates trend at between 4% and 5% and average income per capita is less than 1 USD per day. The GDP growth is estimated at 6.8% and is expected to grow to 7.2% as investment, trade and tourism pick up. The economy is generally going through a lot of changes due to recent changes of power with the Government trying to curb corruption and maximize government revenues. To provide a dedicated management accounting and performance measurement service to the operations and logistics team involved in the manufacturing of beer and spirits. The supply business comprise of the operations and logistics, and each area has key controls that are necessary to mitigate against financial loss while providing financial visibility on packaging,brewing processes for both beer and spirits. Coordinating the monthly and annual stock counts across all stock categories. Ensure that all Stock variances are fully explained. Ensure that all Raw Materials and components used in the month are issued to the process orders within the month. Ensure at all times stock accounts are fully reconciled to the GL and Physical Stocks on the monthly basis. Oversee the controls around beer and Emties processes. Ensure that adequent controls are maintained on the compliance issues. Monitor the status of Stock obsolescence to ensure adequate provision is maintained. Ensure monthly cost centre reviews and Materials spend analysis are happening and all actions are closed timely. Work with manufacturing accountants of other sites to ensure standardization and alignment of processes. Work with SSC teams to ensure production processes are compliant controls framework and with reporting and tax related requirements. Sound people management skills, including the ability to motivate and challenge a team to deliver results. Knowledge of all aspects of a finance function, including financial accounting and statutory reporting requirements. Knowledge on SAP will be added advantage.